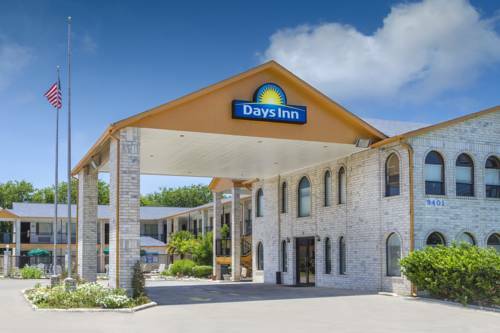 Welcome to the Days Inn San Antonio Windcrest. We are conveniently located just 5 Miles from the airport, and only 10 minutes from downtown. Our extensive list of amenities includes - FREE Wireless High Speed Internet Free Day Break Breakfast Suite rooms with whirlpool tub, microwave and refrigerator Free cable with HBO In Room Coffee Makers Fax and copy service available Minutes away from Riverwalk, Alamo, Seaworld, Fiesta Texas, Natural Bridge Caverns, and Retama Park Horse Racing and Schlitterbahn Water Park. ~15 miles from San Antonio. ~75 miles from San Antonio.